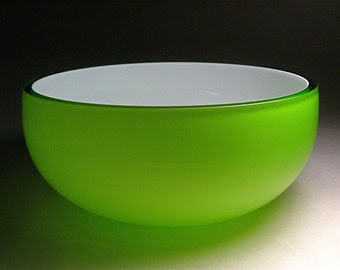 One Sunday as a youth, I entered the Sunday School classroom to find a green bowl of water proudly displayed in the center of the classroom. The teacher proceeded to start the lesson by trying to “sell” us the green bowl of water in her best impression of a car salesman. As I remember, we were all silent, wondering if our teacher had lost her mind. And it came shortly thereafter. Our teacher went around the classroom and asked each of us if we would like a green bowl of water to make all of our decisions for us and ensure that we ALWAYS chose correctly. Surprise . . . we all said NO. NO, THANK YOU. NO FREAKING WAY. We each wanted to make our own decisions, thank you very much. Maybe we’d be wrong sometimes, but at least we would be able to choose for ourselves. We did NOT want a green bowl of water. She then went on to explain about our premortal life and the war in heaven. God is the Father of our spirits. We are created in His image. We have a divine nature and destiny. Before we were born, we lived with God, the Father of our spirits. All persons on earth are literally brothers and sisters in the family of God. Our Heavenly Father knew we could not progress beyond a certain point unless we left Him for a time. He wanted us to develop the godlike qualities that He has. To do this, we needed to leave our premortal home to be tested and to gain experience. Our spirits needed to be clothed with physical bodies. We would need to leave our physical bodies at death and reunite with them in the Resurrection. Then we would receive immortal bodies like that of our Heavenly Father. If we passed our tests, we would receive the fulness of joy that our Heavenly Father has received. Our Heavenly Father called a Grand Council to present His plan for our progression. We learned that if we followed His plan, we would become like Him. We would be resurrected; we would have all power in heaven and on earth; we would become heavenly parents and have spirit children just as He does. We learned that He would provide an earth for us where we would prove ourselves. A veil would cover our memories, and we would forget our heavenly home. This would be necessary so we could exercise our agency to choose good or evil without being influenced by the memory of living with our Heavenly Father. Thus we could obey Him because of our faith in Him, not because of our knowledge or memory of Him. He would help us recognize the truth when we heard it again on earth. At the Grand Council we also learned the purpose for our progression: to have a fulness of joy. However, we also learned that some would be deceived, choose other paths, and lose their way. We learned that all of us would have trials in our lives: sickness, disappointment, pain, sorrow, and death. But we understood that these would be given to us for our experience and our good. If we allowed them to, these trials would purify us rather than defeat us. They would teach us to have endurance, patience, and charity. At this council we also learned that because of our weakness, all of us except little children would sin. We learned that a Savior would be provided for us so we could overcome our sins and overcome death with resurrection. We learned that if we placed our faith in Him, obeying His word and following His example, we would be exalted and become like our Heavenly Father. We would receive a fullness of joy. We needed a Savior to pay for our sins and teach us how to return to our Heavenly Father. Our Father said, “Whom shall I send?” Jesus Christ who was called Jehovah, said, “Here am I, send me”. Jesus was willing to come to the earth, give His life for us, and take upon Himself our sins. He, like our Heavenly Father, wanted us to choose whether we would obey Heavenly Father’s commandments. He knew we must be free to choose in order to prove ourselves worthy of exaltation. Jesus said, “Father, thy will be done, and the glory be thine forever”. Satan, who was called Lucifer, also came, saying, “Behold, here am I, send me, I will be thy son, and I will redeem all mankind, that one soul shall not be lost, and surely I will do it; wherefore give me thine honor”. Satan wanted to force us all to do his will. Under his plan, we would not be allowed to choose. He would take away the freedom of choice that our Father had given us. (Think green bowl of water!) Satan wanted to have all the honor for our salvation. Under his proposal, our purpose in coming to earth would have been frustrated. Our Father in Heaven asked, “Whom shall I send [to be the Savior]?” Jesus Christ answered, “Here am I, send me”. He was the Father’s “Beloved and Chosen from the beginning” and was always meant to fulfill this role. But Lucifer interrupted and offered himself along with a proposal that would have destroyed the agency of man and exalted Lucifer above the throne of God. Heavenly Father responded, “I will send the first”. Lucifer rebelled and became known as Satan. Division among spirits caused a war in heaven. A third part of God’s children turned away from Him and followed Satan. These rebellious spirits were denied physical bodies, were cast down to the earth, and continue to make war against the Saints of God. The rest of God’s children shouted for joy because they could come to earth and because Jesus Christ was chosen to overcome sin and death. In premortal life, we obtained gospel knowledge, testimony, and faith in the Savior and His Atonement. These things became an important protection and strength in the war in heaven. Those who followed God overcame Satan and his angels “by the blood of the Lamb, and by the word of their testimony”. When we learn the gospel and gain a testimony here on earth, we are essentially relearning what we once knew and felt in our premortal life. Much like we cannot remember the first few years of mortal life, our memory of premortal life has been withheld. This was necessary to help us learn to walk by faith and prepare us to become like Him. But we can be assured that we knew and loved our Heavenly Father. “Nothing is going to startle us more when we pass through the veil to the other side than to realize how well we know our Father and how familiar His face is to us”. There is no way to make sense out of life without a knowledge of the doctrine of premortal life. … When we understand the doctrine of premortal life, then things fit together and make sense”. After the war in heaven, Satan and all the spirits who followed him were sent away from the presence of God and cast down from heaven. A third part of the hosts of heaven were punished for following Satan. They were denied the right to receive mortal bodies. Because we are here on earth and have mortal bodies, we know that we chose to follow Jesus Christ and our Heavenly Father. Satan and his followers are also on the earth, but as spirits. They have not forgotten who we are, and they are around us daily, tempting us and enticing us to do things that are not pleasing to our Heavenly Father. In our premortal life, we chose to follow Jesus Christ and accept God’s plan. We must continue to follow Jesus Christ here on earth. Only by following Him can we return to our heavenly home. Through this knowledge we learn, who we are, where we are from, why we are here on this earth, and where we are going after this life. This is precious knowledge. I’ve never forgotten that Green Bowl of Water lesson. It has stuck with me and reminded me to always be grateful for my free agency–and to always make good choices.